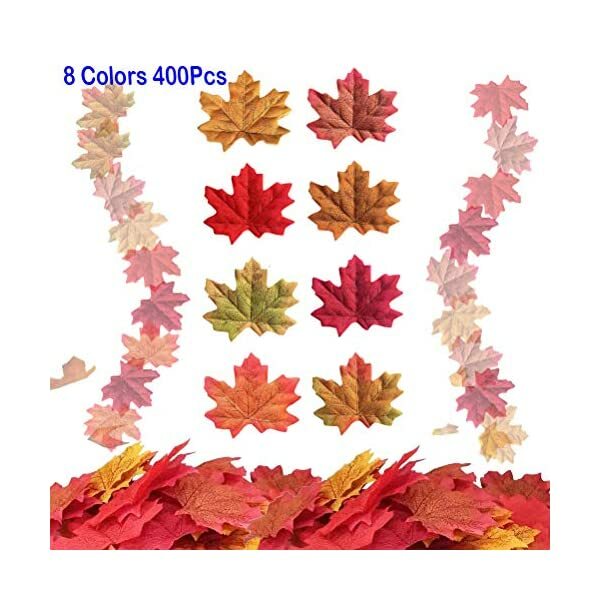 Perfect and high quality:The fall leaves made of durable and eco-friendly polyester fabric material, making this fake maple leaves fairly realistic looking, smooth to touch and never crinkling.And you don’t need to worry about exposing them to wind, rain and sunshine,can be reused. 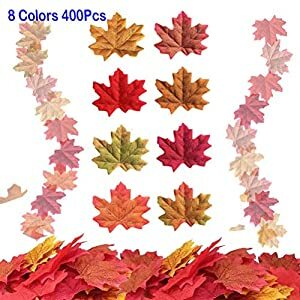 Worth the money:500 pieces of fall maple leaves are assorted in 8 colors, similar colors to maple leaves in deeper autumn. Easily converge with outdoor environment naturally, charming and elegant,thin but durable, comes in red, yellow, and orange. Beautifully crafted to look genuine. Will turn any space into a Fall Wonderland! 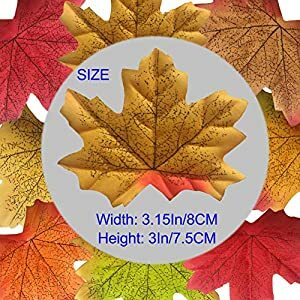 Wide Application:These fall leaves bulk are perfect decoration for wedding, party, festival, home, stores, bars, banquet, etc. They can be posted on the wall, tied on the trees, scattered in the garden.each color is individually packaged, ensuring they all in perfect shape and won’t be crinkled.Just rub them with 5-10 min and come apart very easily without damage. Ideal for Various Decoration Occasions:These artificial leaves can be scattered on table centerpieces or table cloth,mason jar,a photography set,bullet board,porch, aisle ways,leaf wreaths.Great table-scatter item for Fall,Halloween,Thanksgiving,Wedding,Birthday,party and all sorts of DIY projects or sew on your clothes,making an autumn themed fairy costume. 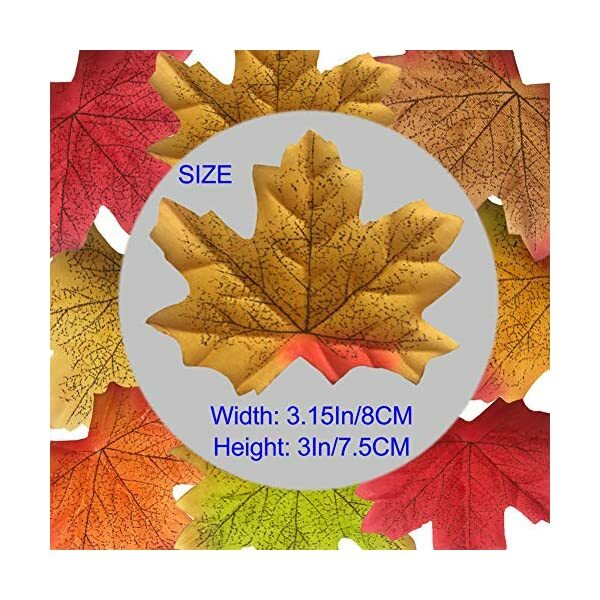 Attention:These silk maple leaves autumn leaves bulk are in processing of coloring, printing, embossing and cutting.It’s normal that there is a slight odor. After separating and airing out or rinsng in water with a little laundry detergent ,the smell will be gone within minutes.